What If School Reform Is What's Best For Kids? It’s no secret that the Bluegrass State is embroiled in a battle for for the souls of our schools. We’ve witnessed one commissioner resign and another rise from relative obscurity. We’ve seen the state’s largest school district narrowly avoid a takeover. In a matter of months, we’ve watched as perennial policies were repealed and replaced overnight. It’s a phrase I’ve seen everywhere, from last year’s protests in Frankfort to the recent Los Angeles teacher strike. When Kentucky announced it would be making major revisions to its high school graduation requirements, critics took to social media in droves proclaiming that the changes would be horrendous “for the kids,” who will soon be required to jump through some additional academic hoops before they can earn their diplomas. The same thing happened when the Kentucky Department of Education announced they were no longer requiring teachers to earn a Master’s degree to maintain their certification; many blasted the decision as an “attack on public education” bent on “dumbing down” our students. Sure, there are obviously policies out there that aren’t student-friendly, but this growing trend of dismissing any kind of reform as “bad for students” is well, bad for everyone. The truth is that a lot of the rage-baiting reforms happening in Kentucky right now actually have a lot of positives for students. 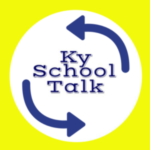 The new high school graduation requirements, for example, raise the bar to a level that Kentucky seniors have never seen before. While critics have been quick to claim that the lofty new requirements may threaten Kentucky’s high graduation rate (90% last year), the truth is that more accountability is a good thing for students. Only two-thirds of last year’s graduates were identified as “transition-ready,” meaning they were actually prepared to move on to college or a career. The fact that Kentucky is willing to challenge that disparity shouldn’t be a cause for widespread outrage. It means they’ll have a high school diploma that actually means something, and that’s worth doing. The same thing goes for those who have fretted that Kentucky removing the Master’s requirement for teachers is somehow bad for kids. Research has been clear and consistent about the impact of teachers with advanced degrees versus those with four-year degrees: there isn’t any. Removing the requirement means that those teachers who don’t want to burden themselves with more student loan debt no longer have to, and those that want the pay bump from having a Master’s degree can still pursue that goal. It’s not a “dumbing-down” of our students, it’s the reversal of a policy that was dumb in the first place. If all the skepticism was limited to major policy changes like these two, I would be more understanding, but lately, the whole act of dismissing any change at all as “bad for students” has become somewhat of a pattern. For the sake of continued, meaningful improvements in Kentucky’s public schools, it’s one that must not continue.